Shazam has hit one billion app downloads and returned to profitability, after expanding beyond basic music recognition into brand advertising. The bulk of Shazam's advertising business lies in TV, with the firm boasting clients such as P&G,. Unilever, Jeep and KitKat. Brands that create 'Shazamable' ads can offer the app's users additional content on mobile, or the chance to claim free products. That has involved years of educating brands and consumers as to the benefits of Shazamable advertising. There's the practical challenge of persuading Shazam's 120m monthly users to open up the app during a TV ad, and engage with brand content. Then there's getting brands and agencies to create sufficiently compelling digital content. A greater awareness of the app and how to run Shazamable campaigns has returned the company to profitability, chairman Andrew Fisher told Campaign. "90% of people that Shazam a TV ad do spend time with the brand on their pages, and engage with the offer being made," he said. "That's led to higher engagement and participation rates with brands, and that has driven us to profitability." Now the company is expanding beyond audio recognition into visual recognition and beacons. Earlier this year, the company ran a campaign using visual recognition for Coca-Cola. 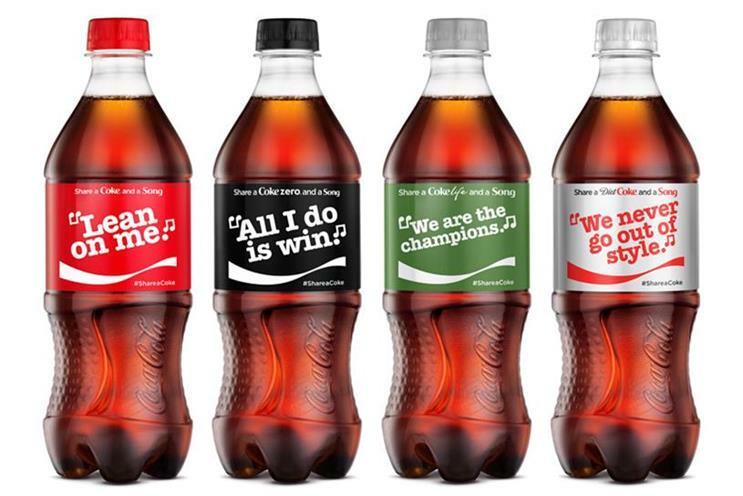 Coke printed famous lyrics on its bottles, with consumers encouraged to Shazam the packaging, get the full lyrics, then record themselves singing the full song. "People are willing to use the camera and engage with packaging and print media," said Fisher. "We have seen lots of success." Asked whether brands ever do more than experimental campaigns, Fisher said the company didn't disclose its renewal rates, but said they were "very high" in the UK. Fending off rumours of a flotation, Fisher said there were benefits in remaining a private company - for now. "We certainly aren't planning an IPO in 2016, the market conditions aren't right for us," he said. "We are venture backed, and at some point in time we will look to create liquidity for our shareholders," he added. With agencies and publishers alike looking to expand into digital advertising, Fisher added that the company had turned down acquisition offers. "We have had interest in Shazam, but we have been really focused on building out the category," he said, noting that the TV ad market is worth considerably more than the music market. "In terms of returning value to our shareholders and growing our enterprise value, there's a significant opportunity to do that by staying private."